Brian White is an associate in the firm's Commercial Finance Group and represents financial institutions ranging from commercial banks to private equity lenders in structuring, documenting, negotiating and performing due diligence for asset-based and cash flow commercial finance transactions, including related acquisition finance matters, among other transactions. In addition, Brian has experience representing commercial banks, corporate borrowers and private equity sponsors in connection with warehouse finance facilities, as well as experience representing issuers, underwriters and private equity sponsors in connection with asset-backed structured finance facilities. Prior to joining Goldberg Kohn, Brian was an associate in the finance group of an international law firm based in Chicago. 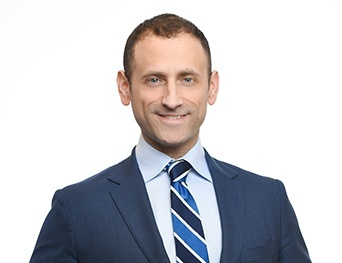 Brian is admitted to practice law in the State of Illinois; he received his law degree from Georgetown University Law Center in 2012 and received his B.A. in speech communications from University of Illinois at Urbana-Champaign in 2005.